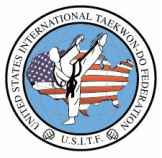 Master Terence Geoghegan, 8th degree black belt, is Senior Vice-President and General Counsel for the United States International Taekwon-Do Federation (USITF). He is an ITF International Instructor and an ITF class "A" referee. Master Geoghegan began studying Taekwon-Do in September 1977, at California State University, Hayward, under Grand Master Robert Zambetti. In 1980 he moved to Santa Barbara, California, where he began studying ITF Taekwon-Do under Master Sabree Salleh. Around 1985, Master Salleh returned to his native Malaysia, and Master Geoghegan began training with Grand Master Robert N. Wheatley, 8th Dan, who had recently immigrated from his native Ireland. 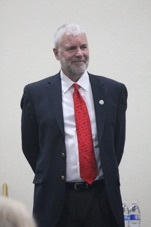 Between 1987 and 1992, Master Geoghegan studied law by correspondence while traveling through Europe by motorcycle. As luck would have it, he found himself in Budapest when the Hungarian border guards opened the Austrian border, in Berlin when "the Wall" came down, and in Prague during the Velvet Revolution. All during this time, he was privileged to train with highly-ranked instructors in Portugal, Germany, Austria, Italy, and Greece, and to teach in their schools.